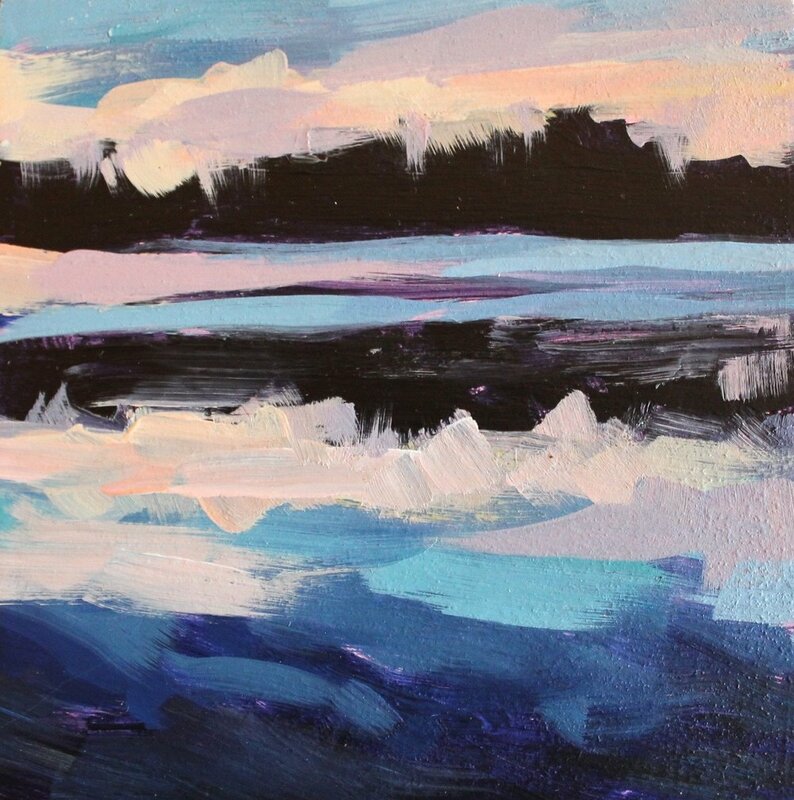 This workshop will help you loosen up and experiment with new approaches to abstract or semi-abstract landscape painting. All work will be done in the studio using photographs as reference. Instruction will be accessible to both newer and more experienced painters. Ages 15 and up. Bring a few images to work from or choose from a selection at the studio. Canvas will be provided. Supply list below. Those without supplies may borrow them from the studio for a $15 fee. Spots are not reserved until payment has been received. *This class requires 5 students to run, with a maximum of 9 students. Please sign up as far in advance as possible to help ensure that the class runs and that your spot is reserved. Recommended acrylic brands: Golden Heavy Body, Utrecht Artist Paints, Winsor & Newton Artist Paints. NO Student grade paints (they will only cause frustration). Brushes: Please bring a small selection of brushes (4-6) in good condition. Bigger brushes encouraged, no tiny brushes. Palette knife approx. 3” diamond or teardrop shape. Metal, not plastic. Palette of your choice (at least 9x12). I suggest 9x12 disposable paper sheets. Rags or Paper Towels. Many painters prefer the blue shop towels found in the auto section of hardware stores. *Those who prefer oil paints may use them. The demonstrations will be in acrylic, but the exercises will translate in either medium. Please bring only linseed oil and/or Gamsol odorless mineral spirits (no liquin or other toxic or smelly mediums), and a way to transport wet paintings. If you have any questions about the workshop or the supply list please contact me.